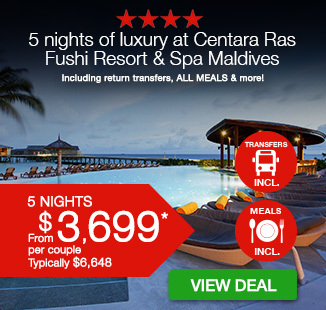 5 nights of luxury in an Ocean Front Beach Villa at Centara Ras Fushi Resort & Spa Maldives with return transfers, ALL MEALS & more! per couple |	Typically $6,648! 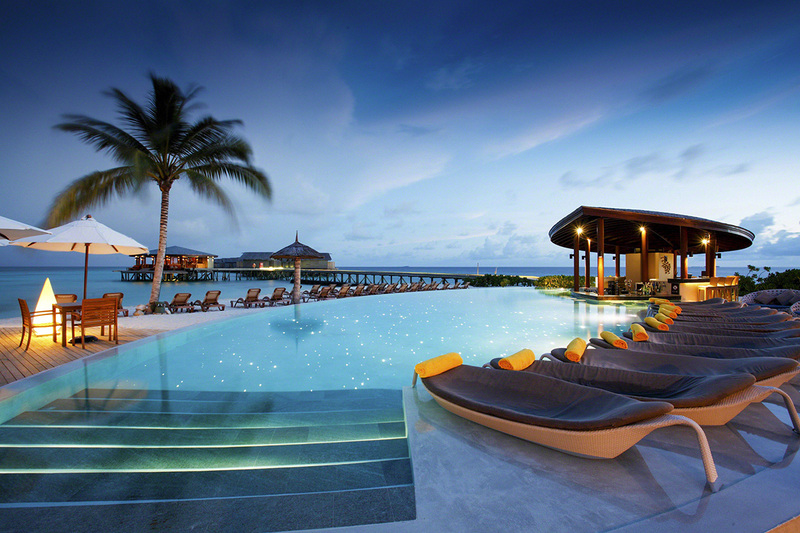 Located on a pristine island lush with tropical flora and endless beauty, Centara Ras Fushi Resort & Spa Maldives is much more than just an idyllic holiday destination. 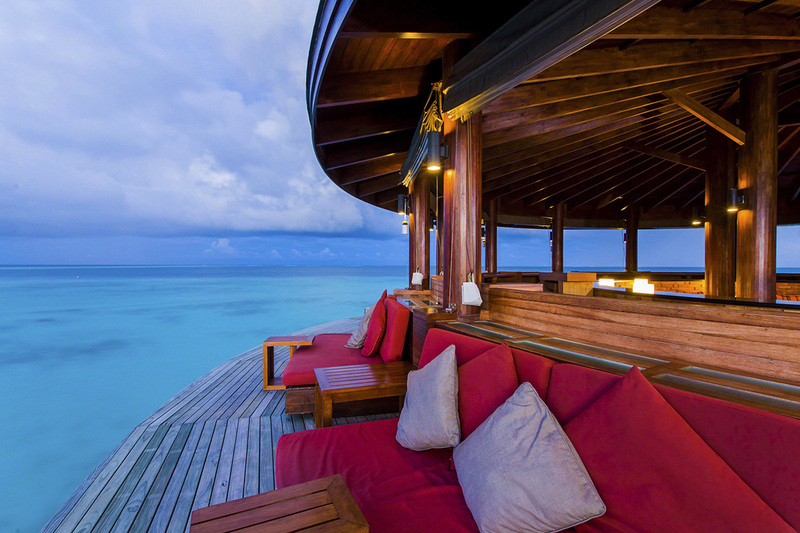 Stunning accommodation overlooking the Indian Ocean, a blue lagoon teeming with colourful sea life, an array of spectacular dining options, three dedicated bars including the signature Viu overwater bar and an indulgent day spa make this piece of paradise a must-visit. Spend 5 or 7 nights in a stunning Villa overlooking sparkling waters as you soak up the luxury of this magnificent resort. 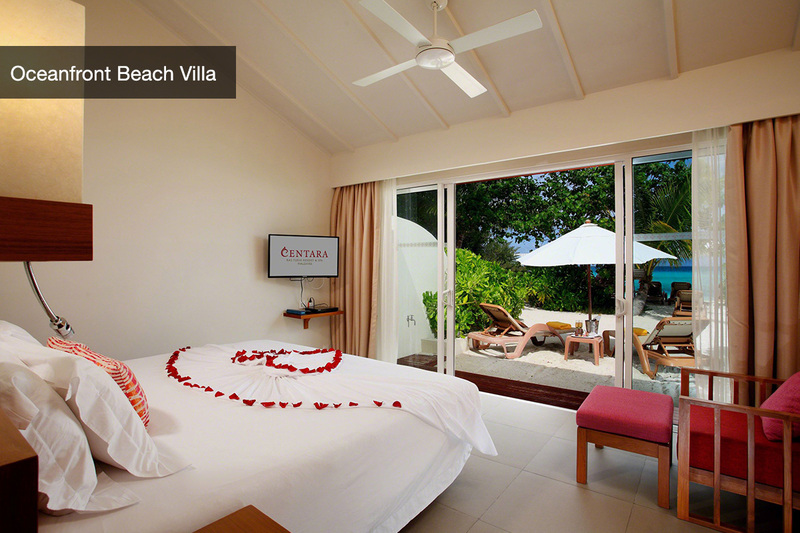 Your package includes 5 or 7 nights in an Ocean Front Beach Villa, return transfers, ALL MEALS and drinks, plus more! 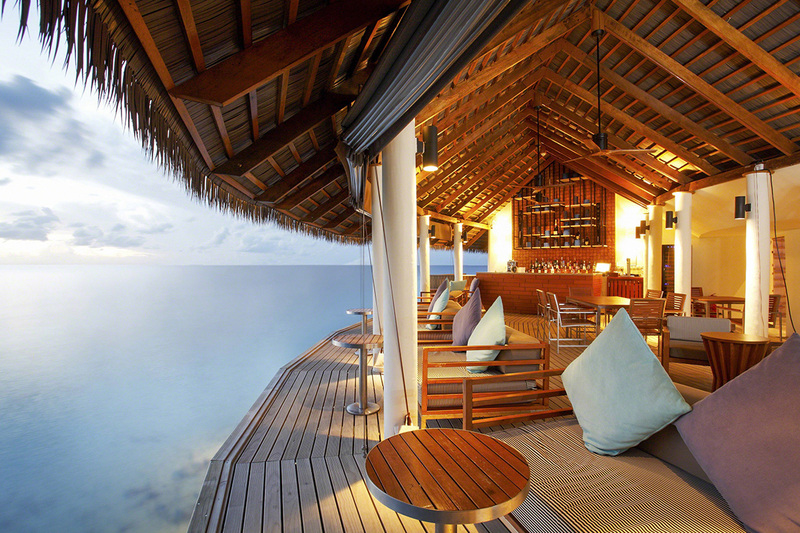 Upgrade to luxurious Deluxe Over Water Villa set above the shimmering lagoon with steps leading down to the crystal clear sea. 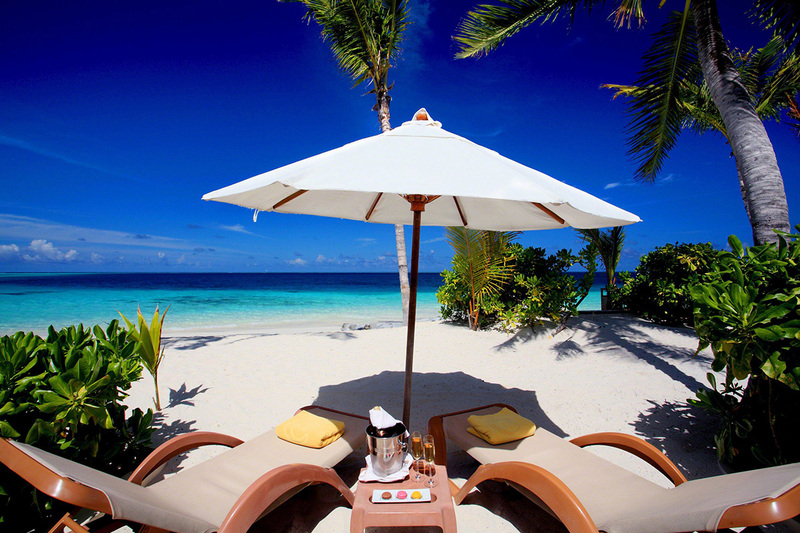 Your package includes 5 nights of luxury in an Ocean Front Beach Villa with return transfers, ALL MEALS & more! Dine Around option – indulge in the choice to enjoy lunch or dinner at either Suan Bua Thai specialty restaurant or La Brezza Italian & seafood specialty restaurant. 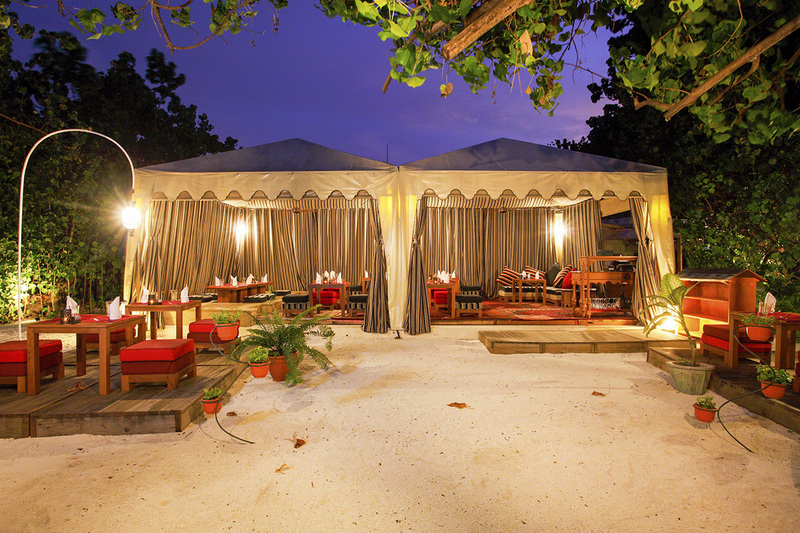 Dinner may also be enjoyed at Al Khaimah, a Bedouin tent dining venue offering Arabian culinary delights. Daily open bar service from 11am – 11pm at three of the resorts bars and during meal service including a selection of white, red and sparkling wines, beers, spirits, cocktails and non-alcoholic beverages including juices and mocktails. Travel through until 31 October 2018! 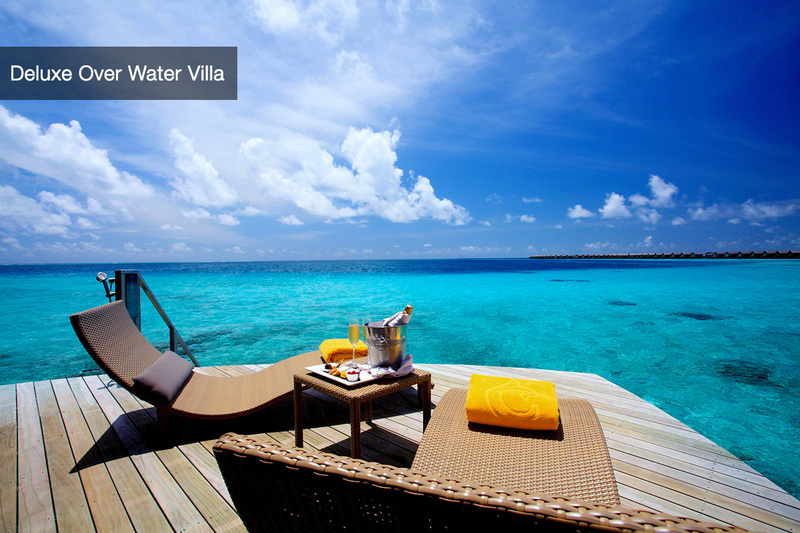 UPGRADE to a DELUXE OVER WATER VILLA and receive all of the above. 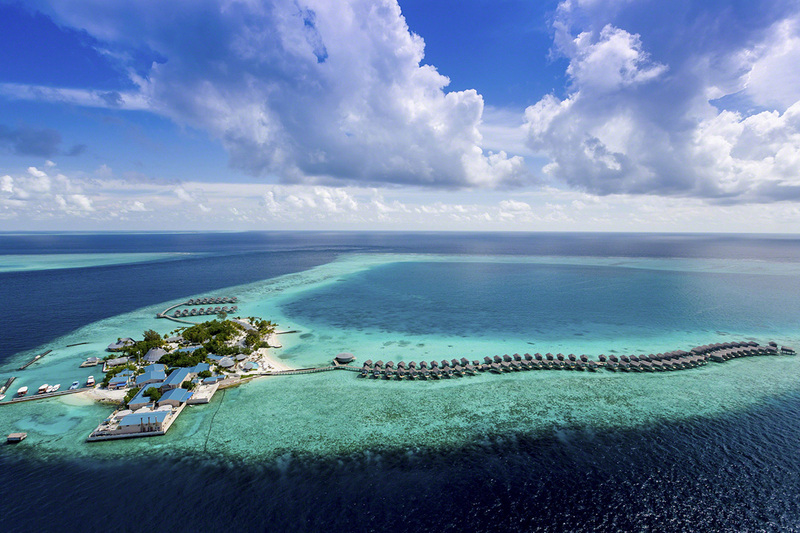 5 or 7 nights in a DELUXE OVER WATER VILLA featuring 42 square meters of living space set above the shimmering lagoon with steps leading down to the crystal clear sea. 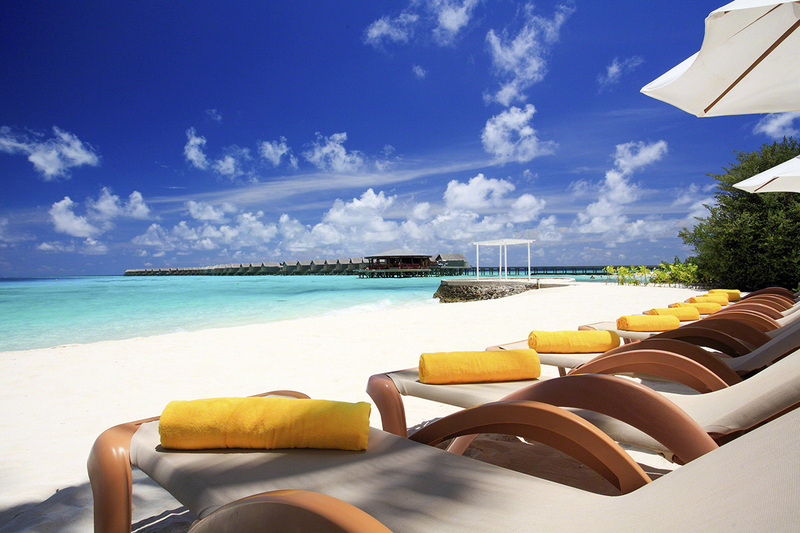 Your Centara Ras Fushi Resort & Spa Maldives getaway is subject to availability at the time of your booking. We advise you to book early to avoid disappointment. 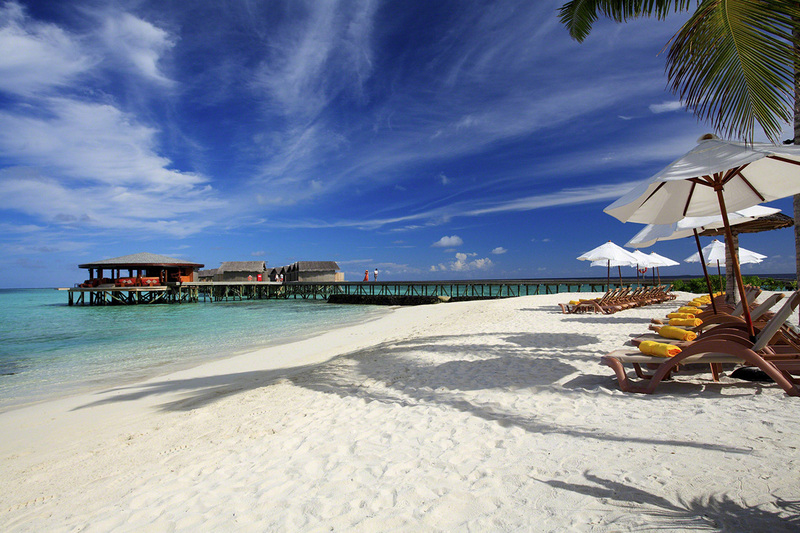 Airport Transfers: return speed boat transfers from Male International Airport are included. 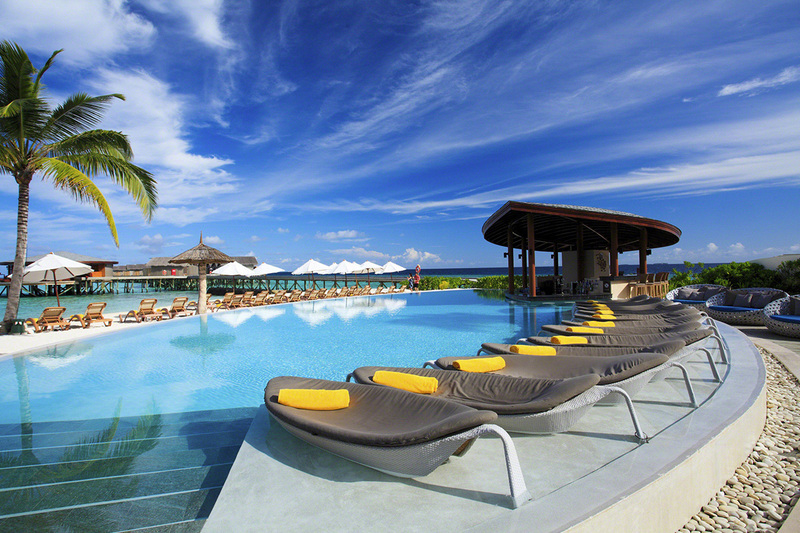 Please ensure you advise the resort of your flight arrival details. Your transfer may be shared with other guests arriving on the same flight. Guests are advised to travel with less than 28kg of luggage. 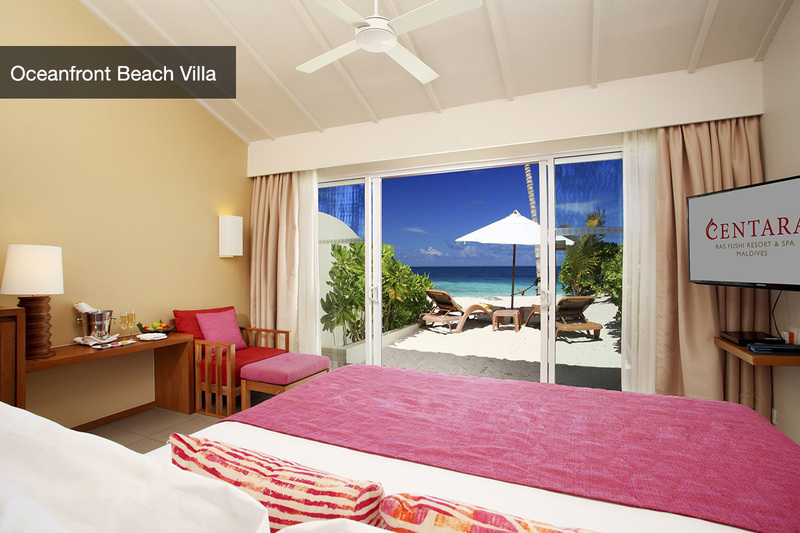 Ocean Front Beach Villa: Live in comfort and tranquillity, and take in the great views from your oceanfront villa. 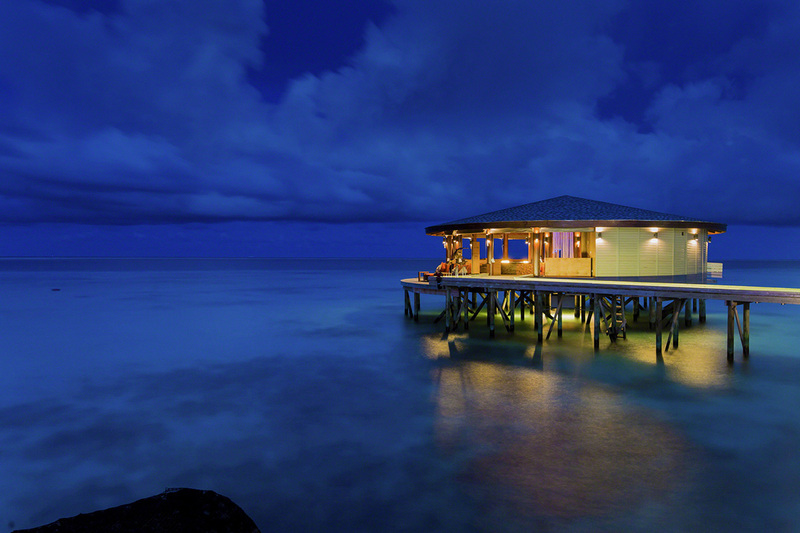 Located on powdery sands, the azure lagoon at your doorstep, our 20 Ocean Front Beach Villas feature living areas of 45 square metres including a sun lounging area looking out across the lagoon, a bedroom with a choice of either a plush king-size bed or twin beds, and a bathroom with shower. Room Capacity: A maximum of 2 adults. 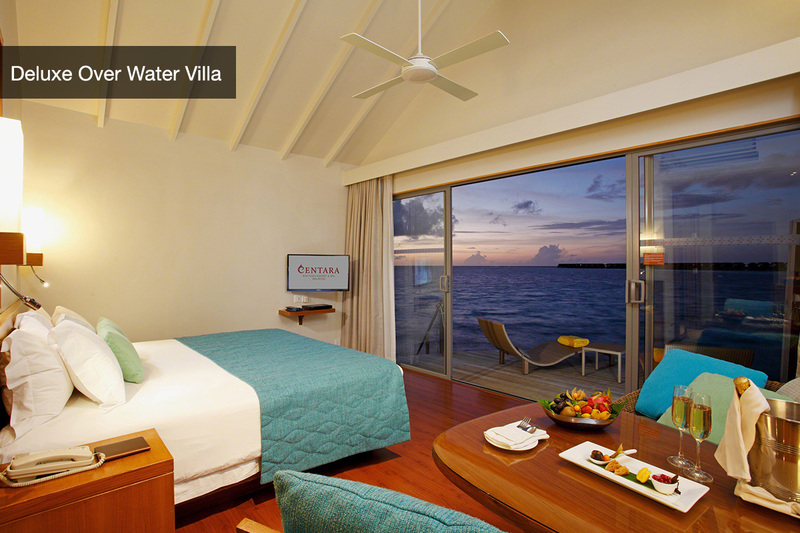 Deluxe Over Water Villa: Wake to a view of the Indian Ocean, and take an early morning swim in the warm waters. 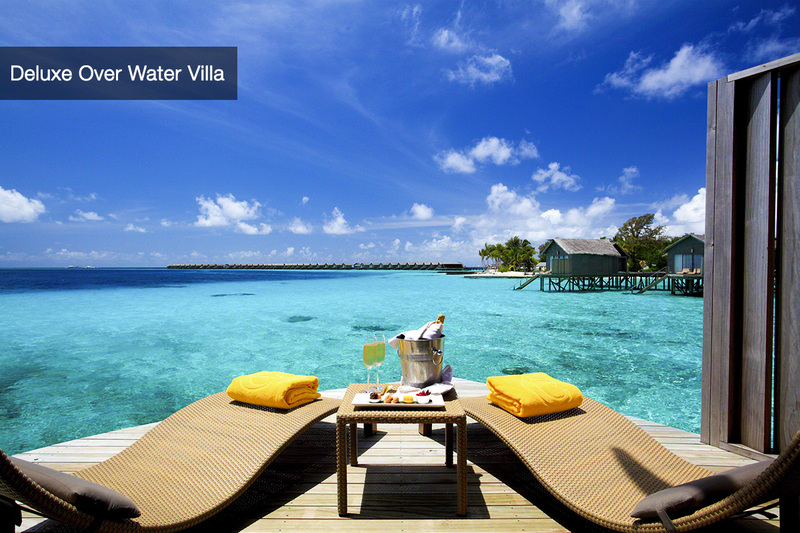 The Deluxe Water Villas are set above the shimmering lagoon with steps leading down to the crystal clear sea. 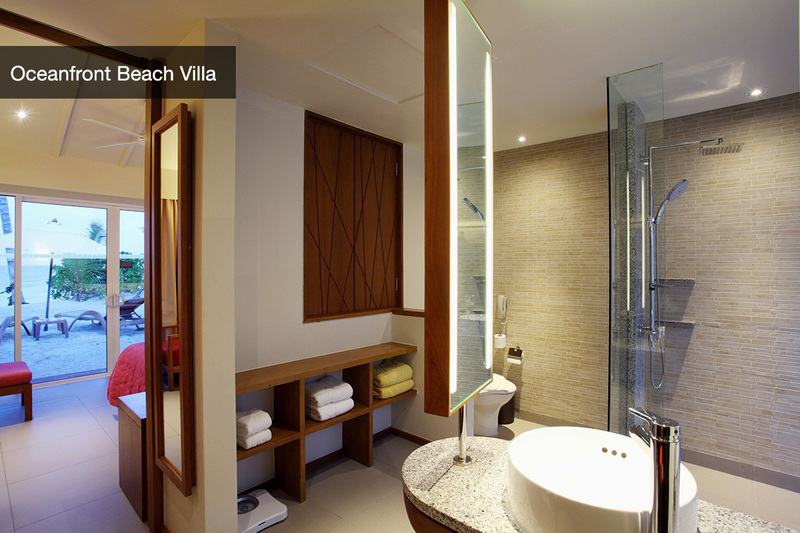 These romantic villas have 42 square metres of living space with either a king bed or twin beds, and a bathroom with shower. 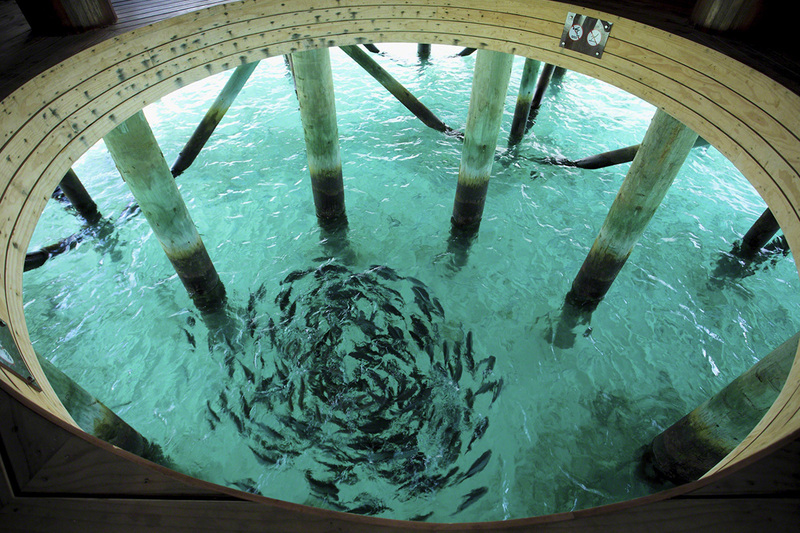 Child Policy: as the resort is an adults-only orientated destination, guests aged 12 years of age and over are welcomed. 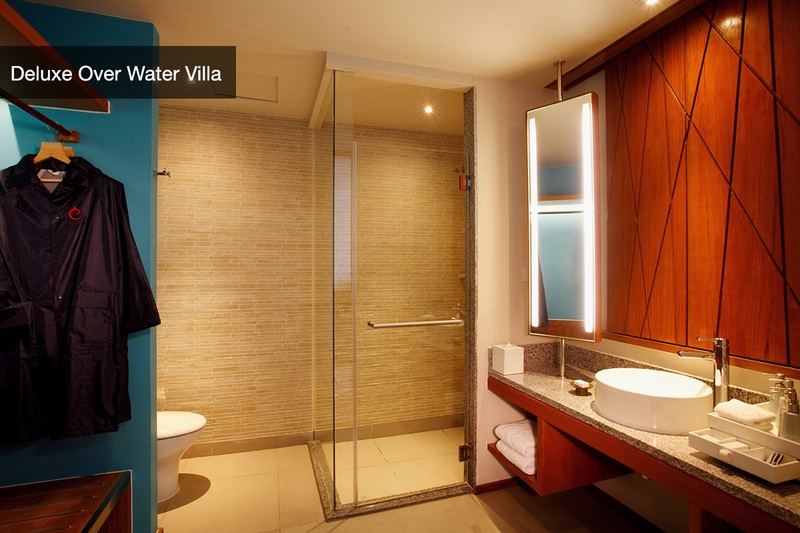 Each villa can accommodate a maximum of 2 people. There is no room for additional bedding. 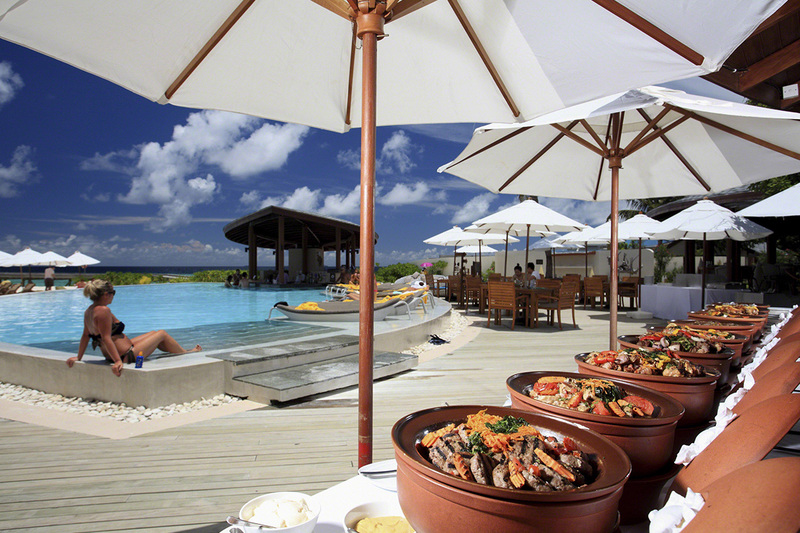 Daily buffet breakfast, daily buffet lunch and daily buffet dinner at Oceans Restaurant. Open bar service available daily from 11:00 until 23:00 at the resort’s 3 bars – with the exception of Waves Pool Bar where beverages are served from 10:00 until 18:00. Beverages comprise all house pouring brands, wines (red, white, and sparkling), draught beer, spirits, and cocktails of the day, as well as still water, soft drinks, filter coffee and tea selection, and juices. View the All Inclusive drinks list here (subject to change). Sundowners Canapés selection: flavourful tapas and canapés are served between 18:30 and 19:30. Afternoon tea with pastries and sandwiches together with a selection of tea and filter coffee served from 15:30 to 16:30. In-villa dining, in-villa minibar and snacks are not included on the All Inclusive Package and will be charged per consumption. Dine Around Option: guests are offered the opportunity to enjoy either lunch or dinner by prior reservation in either Suan Bua, Thai specialty restaurant or at La Brezza, the Italian & seafood specialty restaurant. The daily Chef’s Choice three-course menu is served for lunch and a choice of either a meal allowance (credit) value of up to USD$40 per guest to redeem against either the restaurants’ a la carte menu or the daily Chef’s Choice three course menu is available for dinner. Al Khaimah also provides an alternative dining venue for dinner and offers guests the opportunity to redeem USD$40 per person from the a la carte menu only (no Chef’s Choice is available here). 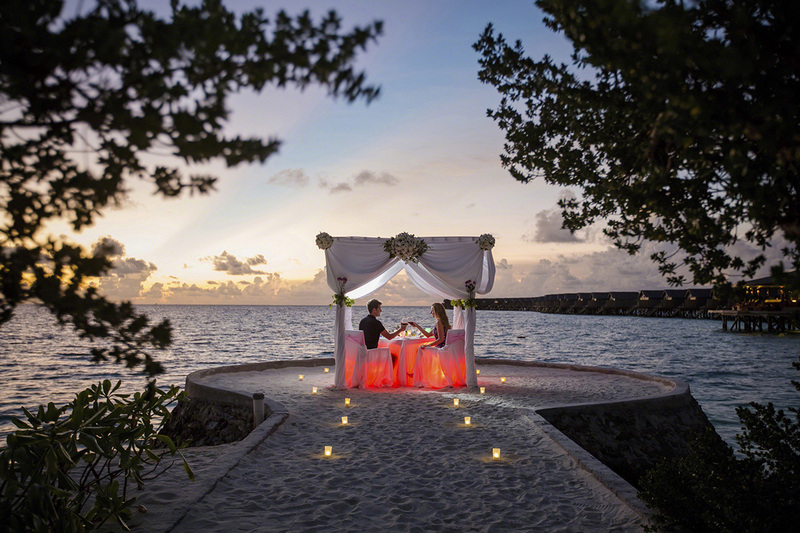 Reservation must be made in advance and confirmation will be subject to restaurant availability. Meal allowance cannot be reimbursed or exchanged and residual value expires at the end of the meal. Clothing: a minimum of mid-length shorts and t-shirts must be worn in the restaurants. 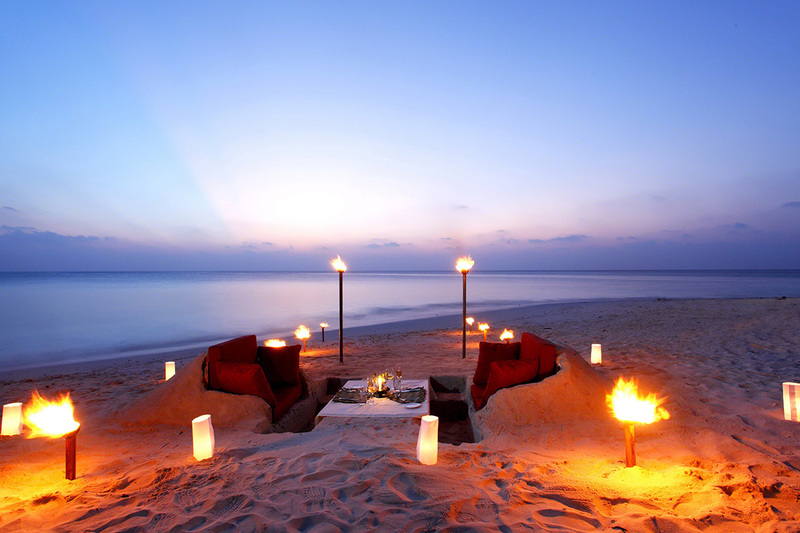 Swimwear is not permitted and guests are advised to be appropriately covered when dining in the restaurants. Footwear: the island can be easily walked around with most areas having sand floors and walkways to ensure you have a real sense of a barefoot getaway. You are welcome to walk barefoot or wear a simple pair of thongs/flip-flops/sandals or sport shoes. Heeled shoes might not be adequate. ATM Machines: please note there are no ATM’s on the resort island. 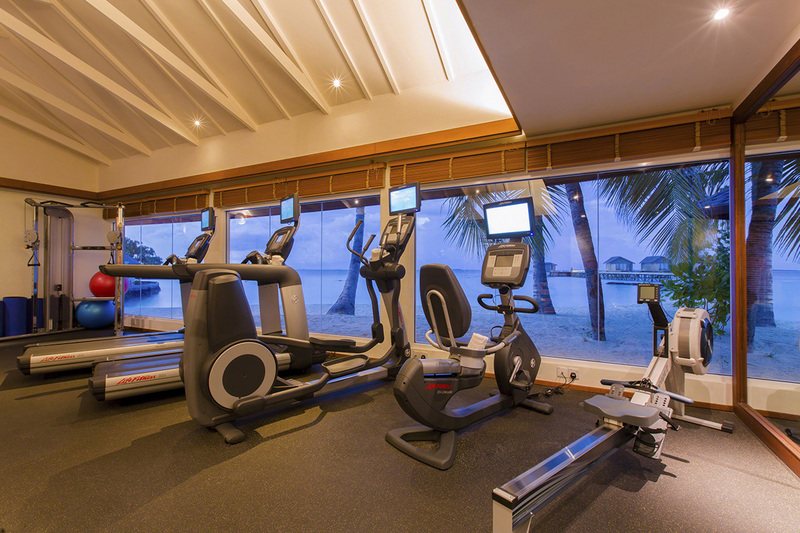 Electrical Items: rooms are fitted with European style three pin sockets common to the Maldives plus at least one universal socket per room. Surcharges apply from 1 November 2017 – 10 April 2018. Please refer to the availability calendar once you click ‘Buy Now’. Daily breakfast, lunch & dinner! Travel available until 31 October 2018! 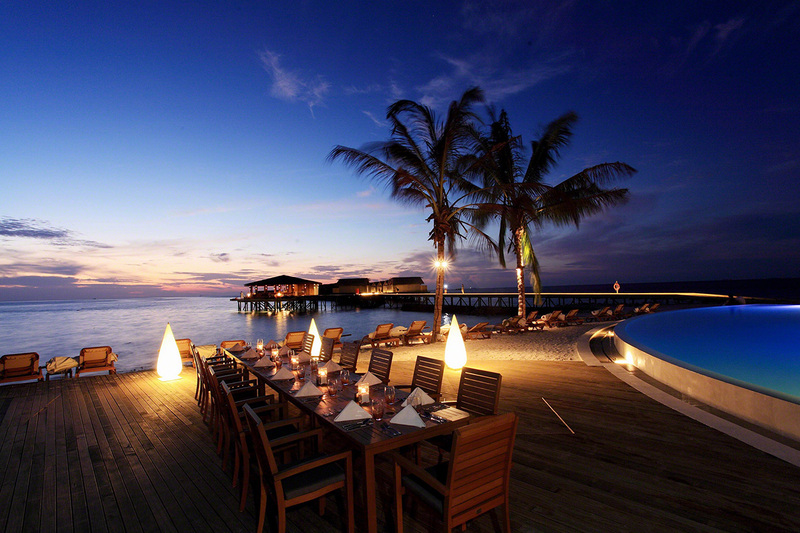 5 nights of luxury in a Deluxe Over Water Villa at Centara Ras Fushi Resort & Spa Maldives with return transfers, meals & more! 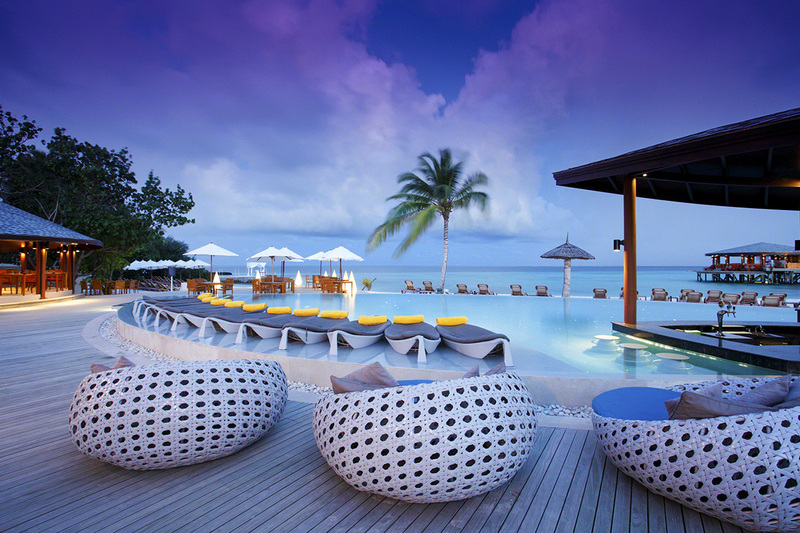 Your Centara Ras Fushi Resort & Spa Maldives getaway is subject to availability at the time of booking. We advise you to book early to avoid disappointment.